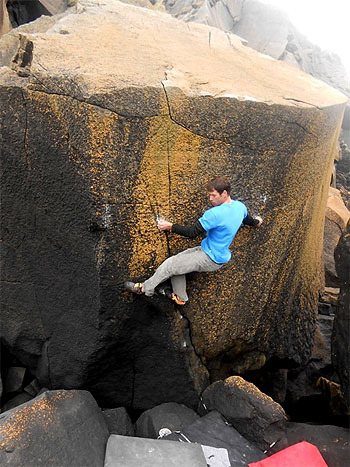 North Wales Bouldering News ::: News Details :: Trwyn Talfarach surge - stacks of new problems! 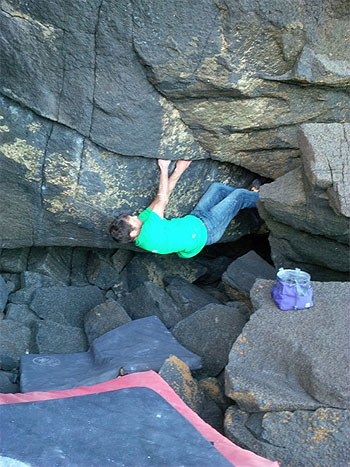 Over the last few months Owen Hayward has carried out a sustained campaign at Trwyn Talfarach, the dolerite bouldering venue adjacent to Porth Ysgo. The scale of development is staggering - if you include all the new problems that Owen has climbed in the Ysgo/Talfarach/Nefoedd and Rhiw area it comes to over 150! 2x7A, 1x7A+, 1x7A+/B, 1x7B - big stamina links on the Pirates block. NB. 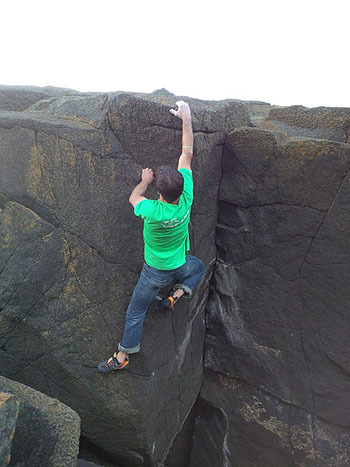 Owen has updated the Area 1 topo to include Mike's line (with a perhaps more realistic grade of 7B! 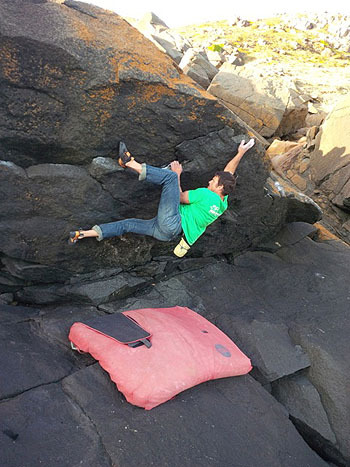 ), plus a regrade of Equinox at 7A+.